The great composer and conductor would have been 100 in 2018. 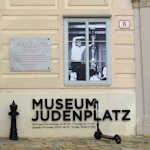 To honour the occasion, the Jewish Museum has a special Bernstein exhibition, subtitled, “A New Yorker in Vienna”. Leonard Bernstein is the perfect example of the artistic tension often found in a place like Vienna, with its long and illustrious (and sometimes not-so-illustrious) history. As a giant of classical music, it’s no wonder he returned again and again to what is probably the capital city of that genre. Bernstein was credited, for example, with reintroducing Mahler’s works to Vienna and was generally much-loved by the Viennese. 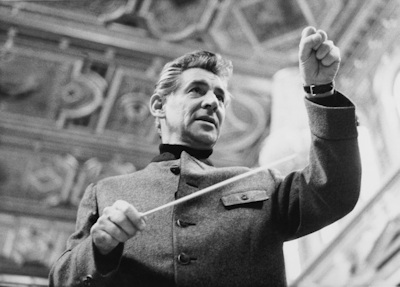 The admiration was such that Bernstein was made an honorary citizen in 1987, a municipal title he shared with other musical greats like Herbert von Karajan and Gottfried von Einem. The mutual love affair between city and man was complicated by Austria’s inglorious role in the rise of fascism and antisemitism in the early- to mid-20th century. Bernstein first performed in Vienna as early as 1946 (at the Konzerthaus), which is quite astonishing when you consider that just a few months earlier, some of the people enjoying his performance might have happily sent him off to a concentration camp for being Jewish. The Bernstein exhibition explores this intriguing relationship, whose sometimes paradoxical nature perhaps reached its zenith in Bernstein’s work with the Vienna Philharmonic Orchestra (famously spared significant denazification immediately after WWII). They performed almost 200 concerts together, in Vienna and around the world. Music as the key to reconciliation? The exhibition fills two relatively small rooms with photos, documents and memorabilia, complemented by short texts (in German and English) touching on his Jewish roots and political activism, for example, but mainly addressing his work in Vienna. This includes his relationship with Helmut Wobisch, who was the long-time executive director of the Vienna Philharmonic and a former member of the SS. The exhibition dates are Wednesday, 17th October 2018 through to Sunday, 28th April 2019. The museum closes on Saturdays but is otherwise open daily, except on certain Jewish holidays. At the time of writing, opening hours are 10 am to 6 pm (with early closing on Fridays). An entrance ticket for adults cost €12, but concessions are available. You can buy fast-track tickets online*, and entry is free with the Vienna Pass for sightseers. As always, check locally for up-to-date info. The exhibition is not in the main Jewish Museum building but in the exhibition space at its second location, next to the Holocaust memorial. See the main museum article for directions and public transport tips.